Showing 1 - 10 of 51 Products for Engine Variable Valve Timing (VVT) Solenoid. 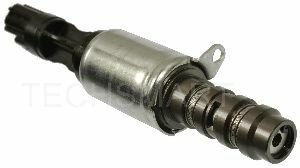 Designed to effectively eliminate rough idle, lack of power, and misfire due to clogged or failed variable valve timing solenoids. 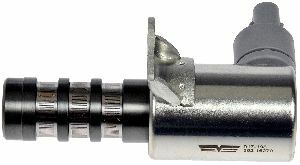 Once installed, the VVT solenoid restores and maximizes horsepower and torque curves. Quality-engineered replacement part reduces emissions and improves vehicle efficiency. All TechSmartÂ® parts meet or exceed OE performance, providing today's technician with the quality parts needed to get the job done right, the first time. 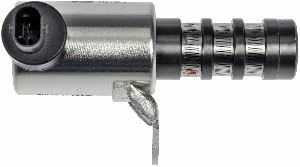 CARDONE Select Variable Valve Timing Solenoids (VVTs) are brand new units designed to enhance engine performance while simultaneously improving fuel economy. VVTs play an integral part in meeting future government fuel economy requirements. Units are 100% tested to verify correct flow and oil pressure rates to maximize efficiency. Additionally, units are endurance tested on engines to verify fit, function, and test real world reliability. 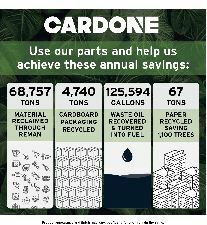 CARDONE Select VVTs will guarantee reliable performance at a competitive price.